Trash Deity – the new collaboration of Groovie Mann (My Life with the Thrill Kill Kult) and producer/musician John D. Norten (Blue Eyed Christ) – has announced a new remix EP, Frantic Child/Cross & Divide, showcasing remixes of the two tracks by the likes of Jim Marcus (GoFight, Die Warzau, Pigface), Colin Allrich (Slighter), Martin King (Test Dept. ), and more… and now, the band wants YOU to have a hand in its creation with this special Fan Album Art Contest!!! 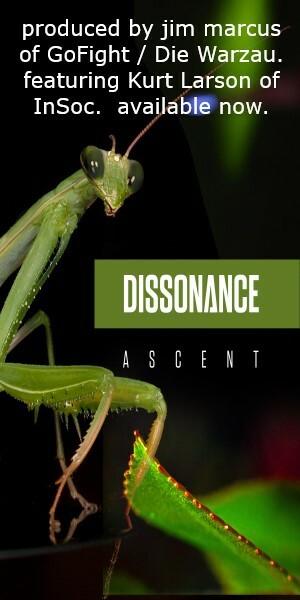 The winner’s artwork will be used as the cover for the digital EP on Metropolis Records, with full artist credits. Personalized lyric sheets hand-written by Groovie Mann, with the winner choosing the preferred track. An autographed copy of Trash Deity’s debut album, Cross & Divide. The latter two prizes are also offered to the runner-up. All submissions must be in *.JPG format with a size of 1,000 x 1,000 pixels, with a resolution of 300ppi. Participating entries can be uploaded via DropBox to: https://www.dropbox.com/request/kNGDicfkykvc0sVsp1RB. 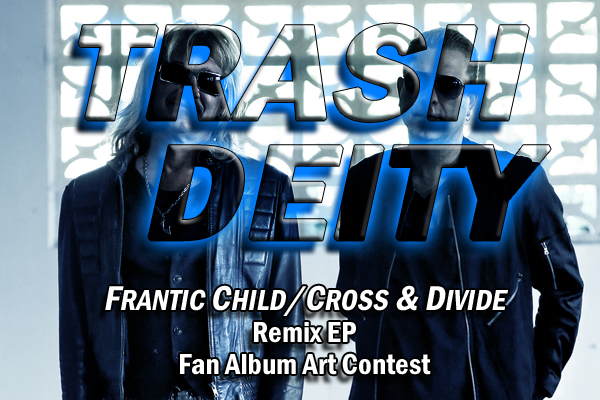 As a special supplement to the contest, Trash Deity is also offering a giveaway to promote the “Frantic Child” single via YouTube, in which three fans have the opportunity to win an autographed CD for sharing the YouTube player link here: https://www.youtube.com/watch?v=Iw9HEXeljNU. The Frantic Child/Cross & Divide Remix EP Fan Album Art Contest continues until the end of the business day on Monday, October 8!!! The Frantic Child/Cross & Divide Remix EP will be released on Friday, October 12!!! Cross & Divide, the debut album from Trash Deity was released via Metropolis Records on September 7, 2018.